In this episode of OnJugger we deal with one of the greatest problems facing jugger at the moment. 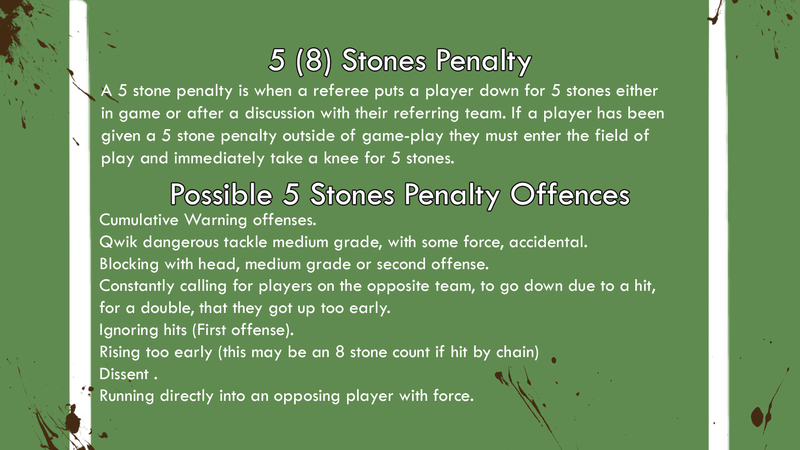 The quality of refereeing, the exploitation of rules and the knowledge that there are no sanctions so malicious players can do what they want with impunity. Our panel of (Stumpy) Dave Edwards, Jonas Kopka, Kate Foley, (Hot) Dave Keaveney and hosted by Mark Hill discuss and dissect all of the topics. 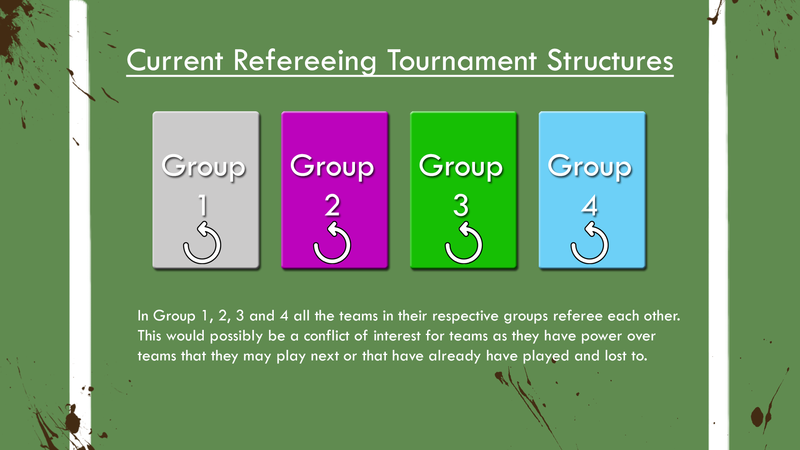 And explain the new Irish reffing system which is being trialled at the moment. We hope you enjoy the show and please comment, like, share and follow! We need your support! Here are all the info-graphics from the podcast. 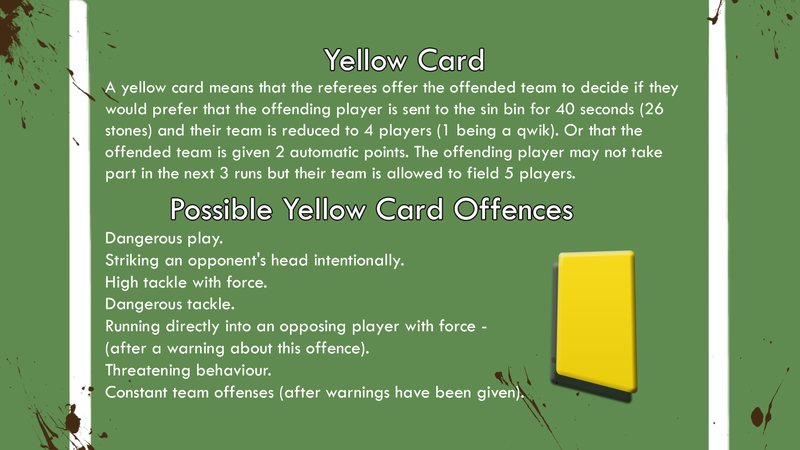 We thought we would release these as well to help people understand the new Irish reffing system with sanctions that we are trialling at the moment. Important to note this system and sanctions are heavily drawn from the current German and Spanish systems with our own new ideas and sanctions added. 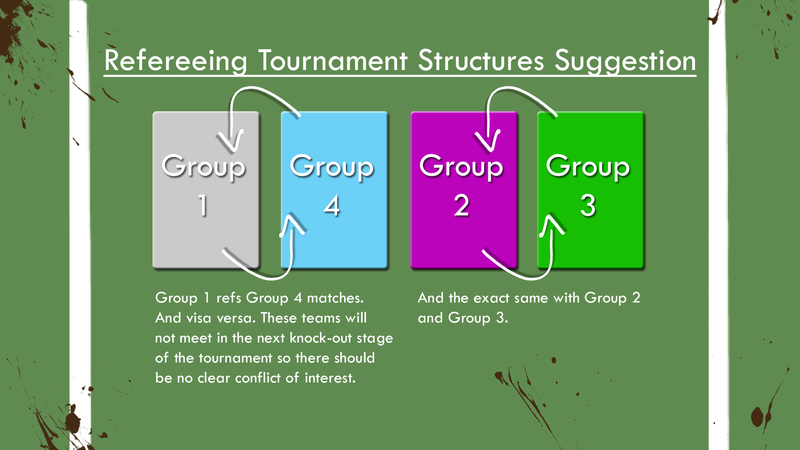 Which are in turn drawn from rugby sevens and our own experiences playing jugger for the past 13 years. Let us know your thoughts here or on our Facebook page. If the images are displayed to small on your device just click on them and they should download in their full size. 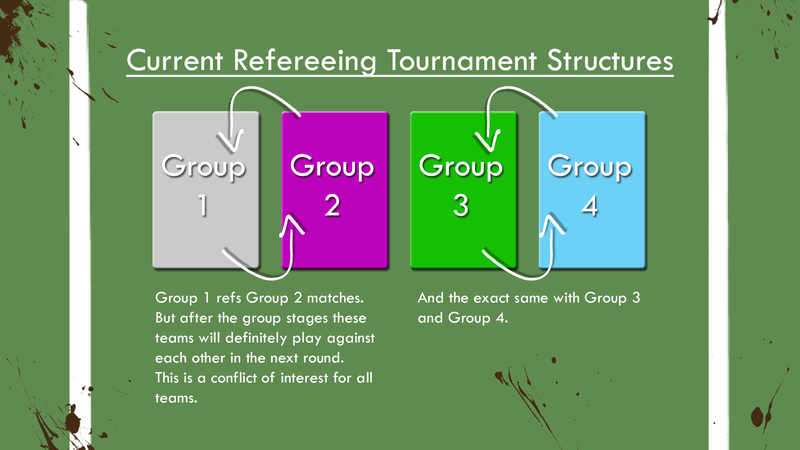 The main referees are usually the most experienced players. They stand at the mid points of the pitch and watch channel 1 and 4. 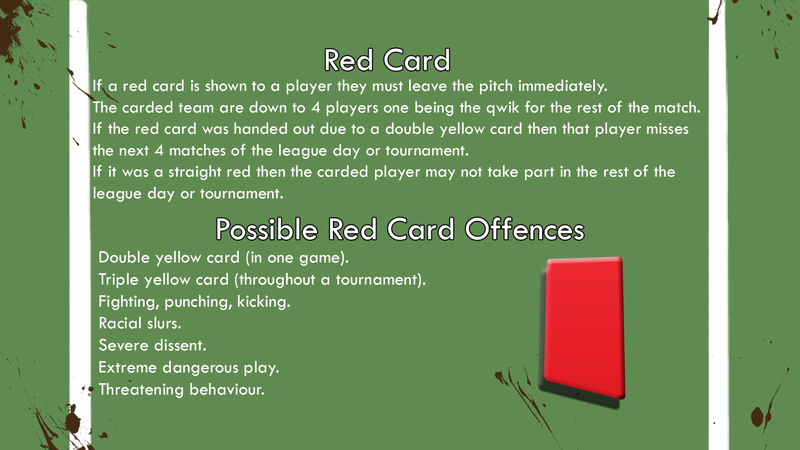 The goal referees are usually the least experieneced and stand at opposite corners of the pitch. And they watch channel 2 and 3. But after the inital run in most of gameplay occurs in channels 2 and 3. Which means you have the least experienced players refereeing most of the action. 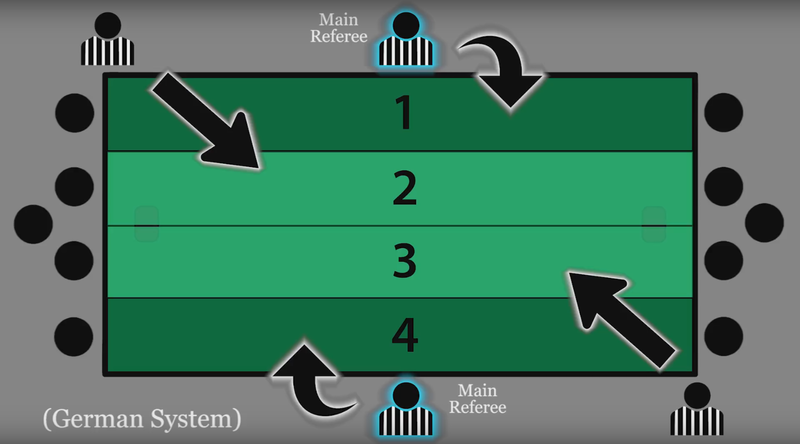 With the new irish refreeing system the main referees (usually the most experienced players) are placed at the opposite ends of the pitch. And they watch channels 2 and 3. 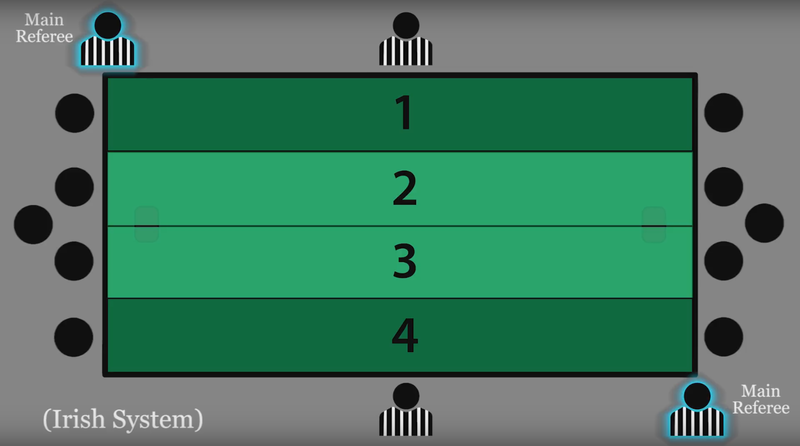 The side referees (usually the least experienced players) stand at the mid points of the pitch and watch channels 1 and 4. We have done this because after the intial run in most of the action happens in channels 2 and 3. 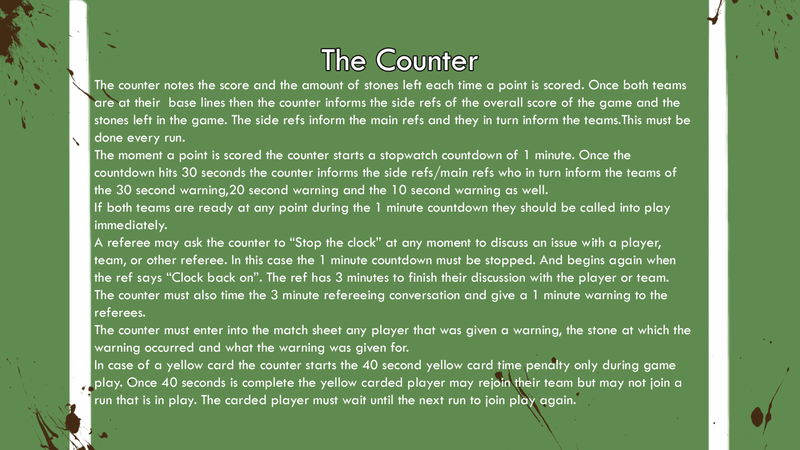 So now you will have the most experienced referees watching the most amount of gameplay. 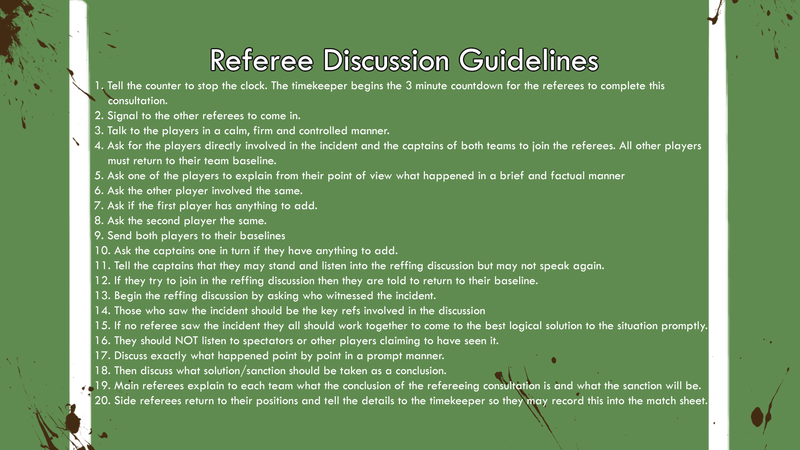 Basically this is a system on how referees communicate to players and the other referees durning a in game rule discussion. Episode 2 of OnJugger with this episode dedicated to all things tackling. 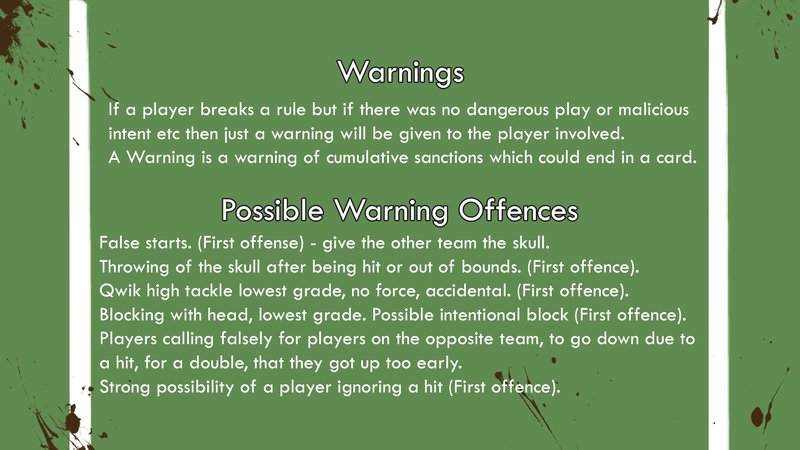 Mark & Gnom discuss about the technique and safety of tackling, how Irish tackling rules differ from German rules and how these rules are followed in the modern game. Following the discussion, there is a coaches demo teaching the Irish tackling rules to help underline the technique used for full body tackling. As a bonus, stay tuned towards the end for a special interview with Marion Lieto as she explains the new foundation for jugger in London. Posted on April 23, 2017 Categories Podcast EpisodesLeave a comment on OnJugger Episode 1. The DM is it Important? Welcome to the OnJugger Teaser Episode just a short episode on why the Germany Rule Keeper and Coach Gnom (Felix) came to Ireland. 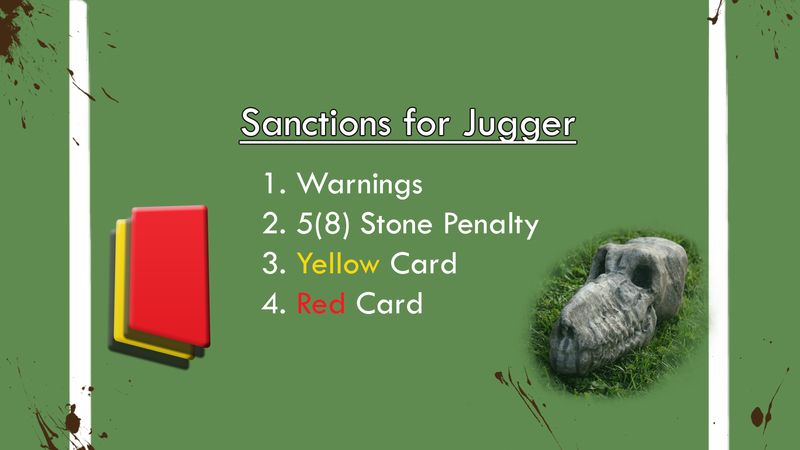 To exchange coaching methods and learn more about how the Irish train jugger. OnJugger’s first full episode will be released in the less than a week!!! Stay tuned!